One of the most important characteristics of a St. Anne’s education is character development. Every day, the St. Anne’s faculty and staff work hard to ensure values of empathy, kindness, compassion, hard work, and humility. It is a wonderful thing when we hear about our alumni carrying on these values once they leave St. Anne’s. 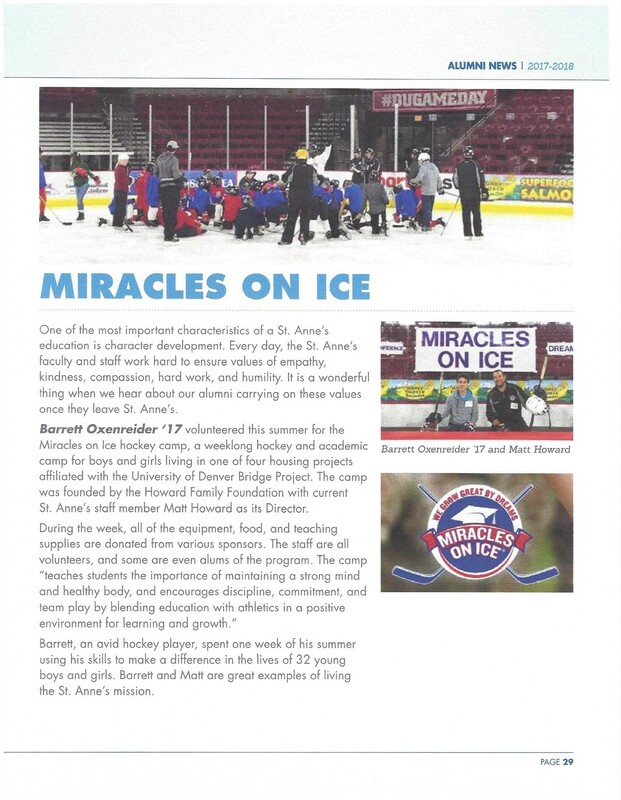 Barrett Oxenreider ‘17 volunteered this summer for the Miracles on Ice hockey camp, a weeklong hockey and academic camp for boys and girls living in one of four housing projects afﬁliated with the University of Denver Bridge Project. The camp was founded by the Howard Family Foundation with current St. Anne’s staff member Matt Howard as its Director. 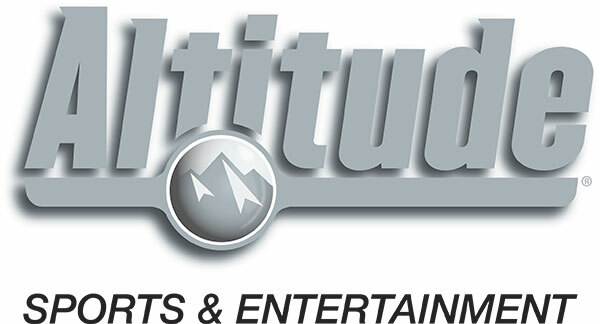 During the week, all of the equipment, food, and teaching supplies are donated from various sponsors. The staff are all volunteers, and some are even alums of the program. The camp “teaches students the importance of maintaining a strong mind and healthy body, and encourages discipline, commitment, and team play by blending education with athletics in a positive environment for learning and growth.” Barrett, an avid hockey player, spent one week of his summer using his skills to make a difference in the lives of 32 young boys and girls. Barrett and Matt are great examples of living the St. Anne’s mission.